Sunset River Marketplace art gallery in Calabash, NC continues its Fall schedule of Coffee With the Authors events on Oct. 6, from 10 to 11 a.m. with travel writers Charlie and Liz Mitchell. 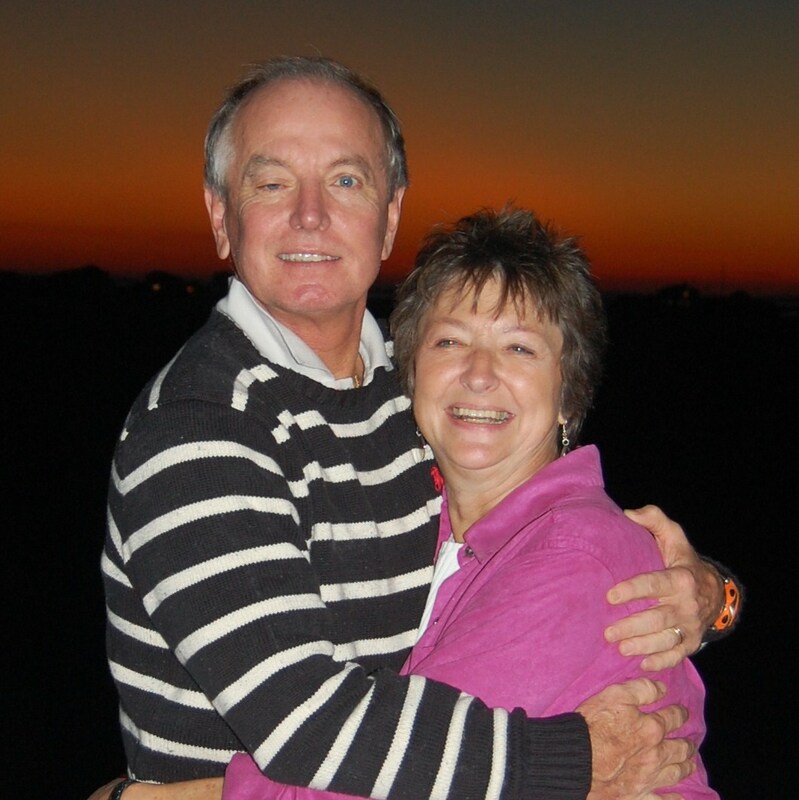 The husband and wife team, who have lived in Myrtle Beach since 1992, will speak about the art of travel writing. They will sign books and discuss secrets they learned during research for their two recent books: Myrtle Beach: A Guide to South Carolina’s Grand Strand and Hilton Head: A Guide to the South Carolina Lowcountry, both of which are part of the Tourist Town guidebook series. The couple will also discuss writing for an online media outlet. They publish tales of travel adventures and recommendations on their own blog, International Show and Tell which includes Humanity, Community, Marvels and Milestones of special interest to them. Liz writes the Brunswick Vacation Planning blog and several others that highlight coastal happenings enticing visitors to the magical beauty of small towns and friendly people. Charlie co-authored three editions of Insiders Guide to Golf in the Carolinas reviewing all major golf courses and related destinations along the coastal area of North and South Carolina. The Mitchells also will also be showcasing their new mobile travel apps for iPhone, iPad and iPod touch (and coming soon to new platforms). The apps, Myrtle Beach’s Best and Hilton Head Essentials, include hundreds of reviews and original photographs of area attractions, golf, restaurants, shopping, hotels and more. Their real business, when they are not writing and photographing for their personal fun projects, is marketing and booking professional speakers and entertainers including training and coaching programs anywhere in the world, plus event planning and management. The coffee/book signing at Sunset River Marketplace is free, but space is limited so reservations are required. Call 910-575-5999 or email lassiter@sunsetrivermarketplace.com. Sunset River Marketplace showcases work by approximately 200 North and South Carolina artists and houses some 10,000 square feet of oils, acrylics, watercolors, pastels, mixed media, art glass, pottery, sculpture, turned and carved wood and artisan-created jewelry. There are two onsite kilns used by students in the ongoing pottery classes offered by the gallery. A custom framing department is available. There are also classes in oil painting, watercolor, pastel and figure drawing. For more information, call or visit www.sunsetrivermarketplace.com. Sunset River Marketplace is located at 10283 Beach Drive SW (Hwy. 179), Calabash, NC. Regular hours are Monday through Saturday, 10 a.m. to 5 p.m. This entry was posted in Author News, Event News, Speaker News and tagged authors, events, North Carolina, speakers, travel by darielb. Bookmark the permalink. I'm a freelance writer in North Carolina. I juggle both promotional and editorial, and this blog will be primarily about music – blues, roots, Americana, soul and rock. I'll be including some How To Stuff for bands – how to use Facebook for marketing, how to put together a press kit, how to do your own PR if you can't afford a professional ... that sort of thing. I'll also be including interviews with musicians and other industry people and pointing you toward some great podcasts. And third, I'll be posting CD Picks from time to time. If you'd like to submit your music recording for review, email me at darielb1@gmail.com. I may rewrite this as the blog evolves, but you get the idea.